I am secretly a pretty pretty princess and I unabashedly adore how this turned out. 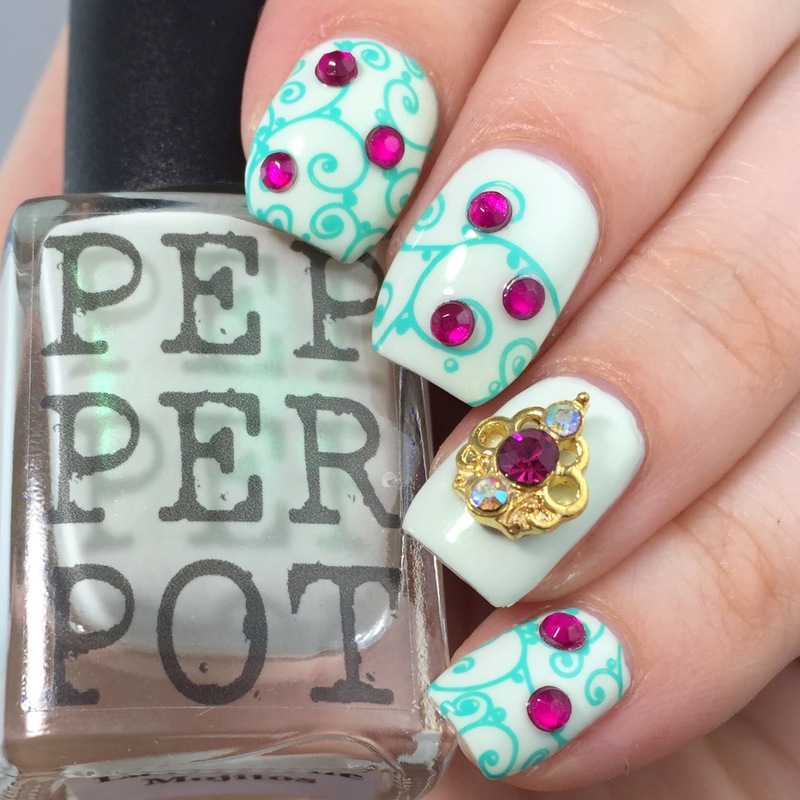 I wish this mani can with a vacation to Florida so I could go Disneybound-ing with it. 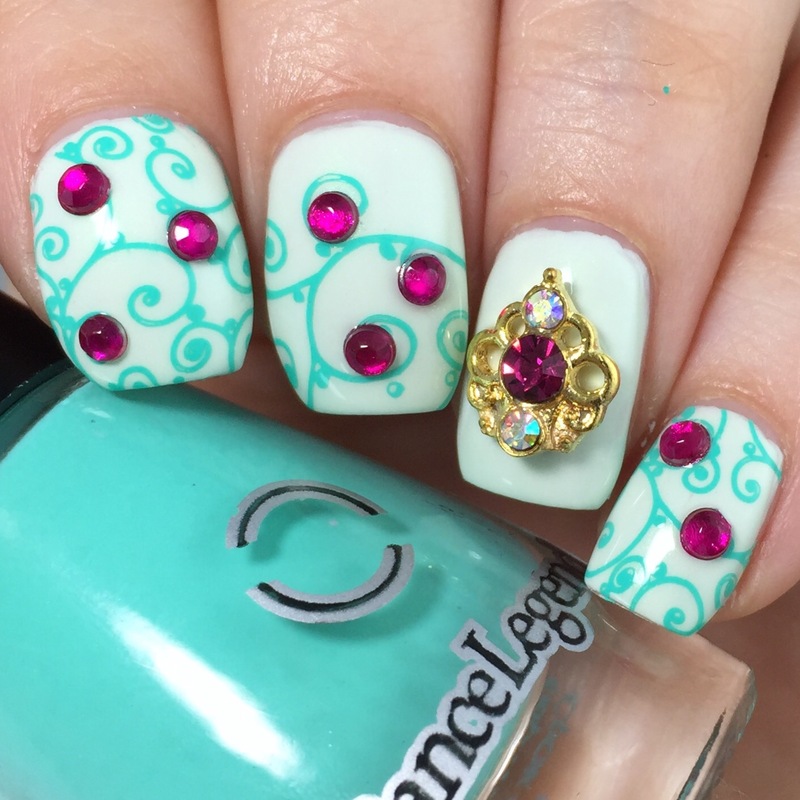 Over “Last of the Mojitos,” I used UberChic’s 6-02 plate (from Collection 6) and Dance Legend’s bright mint stamping polish (this whole line is great- and cheap, as long as the long shipping times from Russia/Ukraine don’t bug you) to add some medium and large swirls. 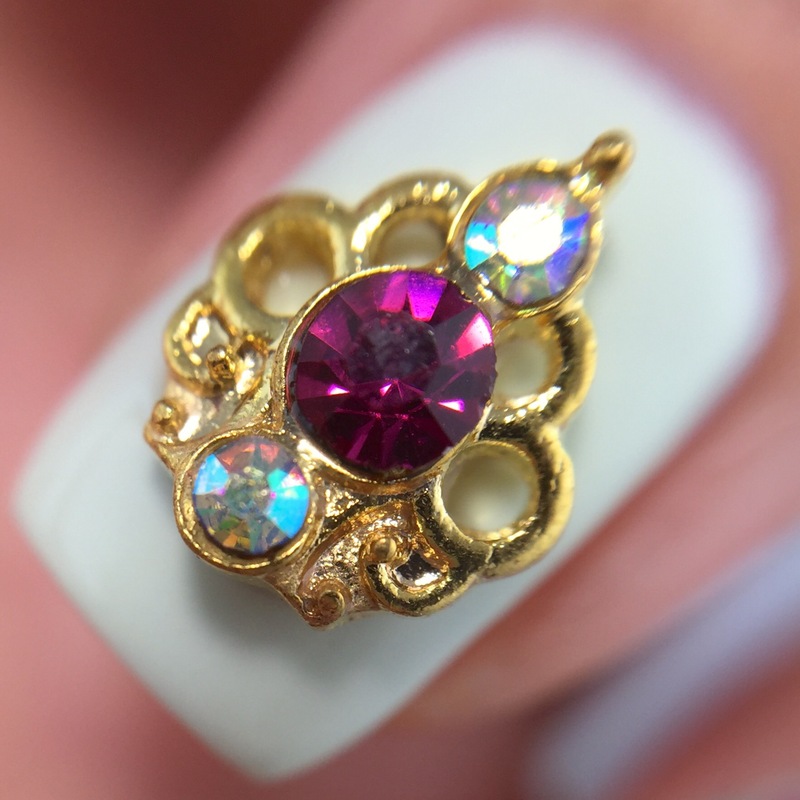 To zazz up the whole deal, and to bring in some of the magenta and gold elements from Anna’s dress, I added rhinestone accents to the swirls and a gold charm from the Polished Vino shop. 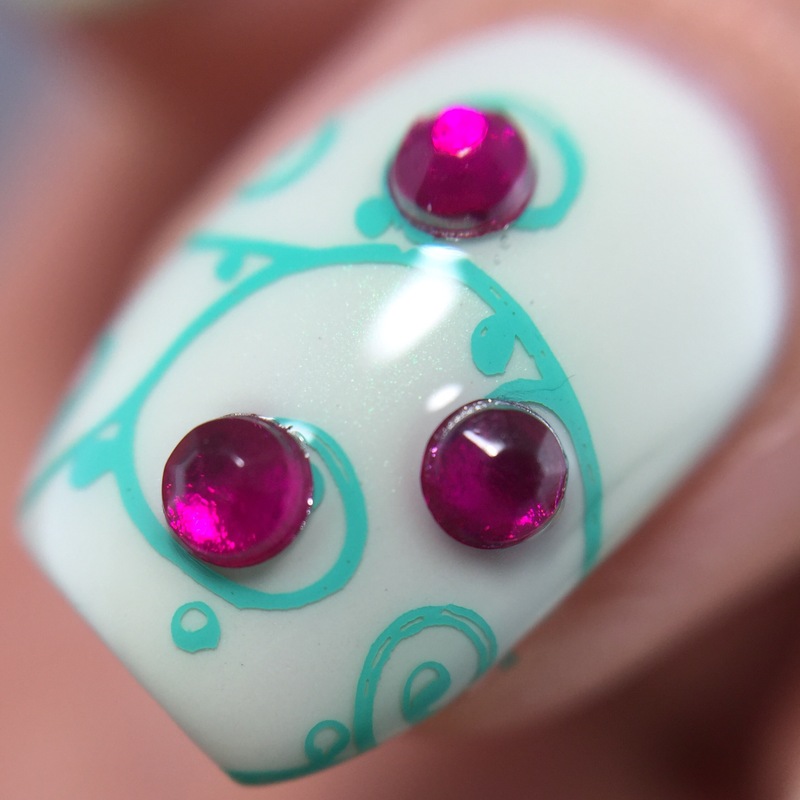 Nail charms and I don’t always get along, but I really loved the regal element it added to this look! I would love to you know you think! Are you feeling my inspiration? Do you think I need to go a little easier on the princess stuff? Can you wear rhinestones for more than 20 minutes without going crazy/catching on your hair/losing all of them (I cannot). 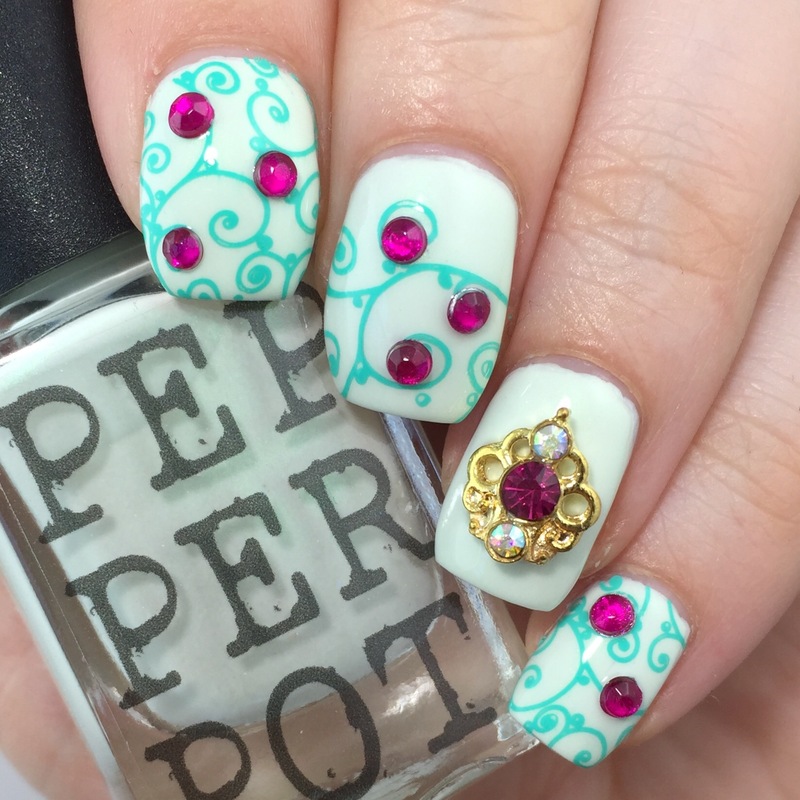 ← Pepper Pot Polish “Last of the Mojitos”+ Coupon Code!